Myanmar's opposition leader Aung San Suu Kyi, looks at U.S. President Barack Obama, greet participants following a meeting at Parliamentary Resource Center, in Naypyitaw, Myanmar..
Rohit Sharma rejoices after completing his double century during the 4th ODI match against Sri Lanka at Eden Garden in Kolkata. 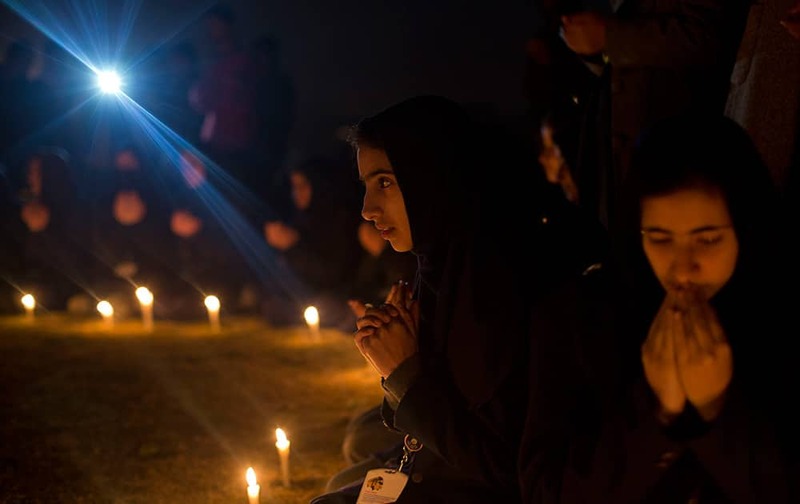 Kashmiri schoolgirls pray during a candle light vigil for flood victims in Srinagar. 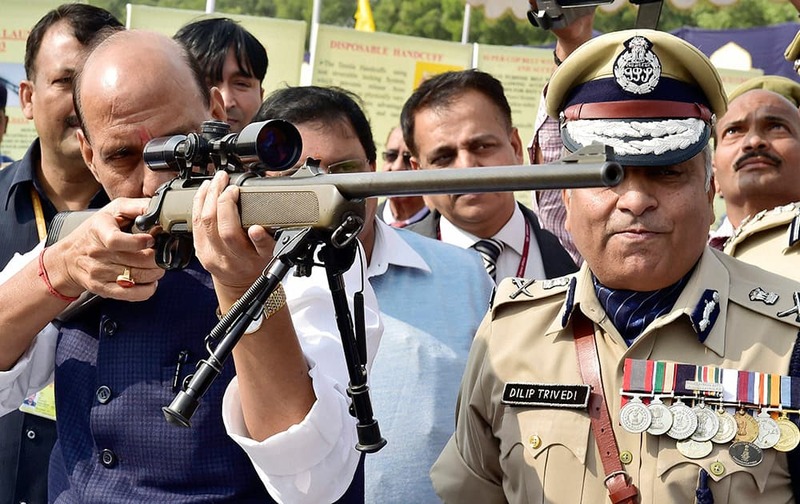 Home Minister Rajnath Singh inspects a weapon during Diamond Jubilee celebrations of Central Reserve Police Force (CRPF) at Kadarpur Group Centre in Gurgaon. 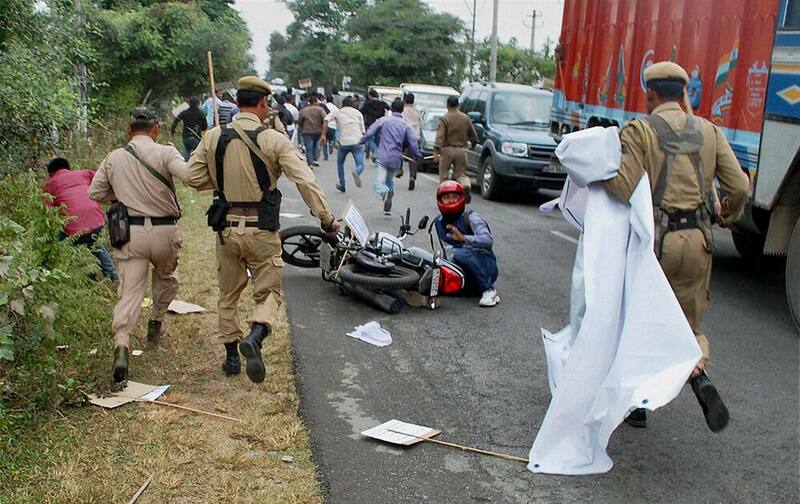 Police resort to Lathi charge to disperse protesters in front of the Brahmaputra Cracker and Polymer Ltd township on NH 37 in Dibrugarh, Assam. Virat Kohli and teammate Rohit Sharma cross for runs during 4th ODI cricket match against Sri Lanka at Eden Garden in Kolkata. 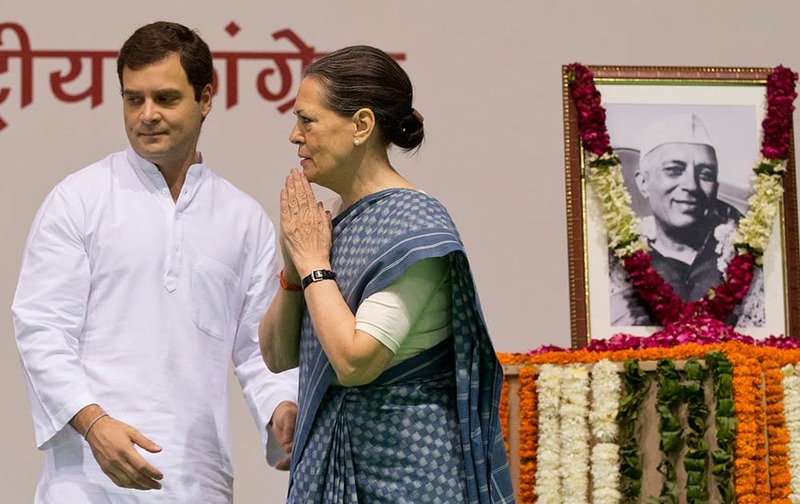 Congress party President Sonia Gandhi, right, and her son and Vice President Rahul Gandhi arrive for celebrations marking the 125th birth anniversary of the first Indian Prime Minister Jawaharlal Nehru, portrait seen, in New Delhi. Sachin Tendulkar meets under-privileged and special kids during a event on the eve of Childrens day at Domestic Airport Santacruz in Mumbai. 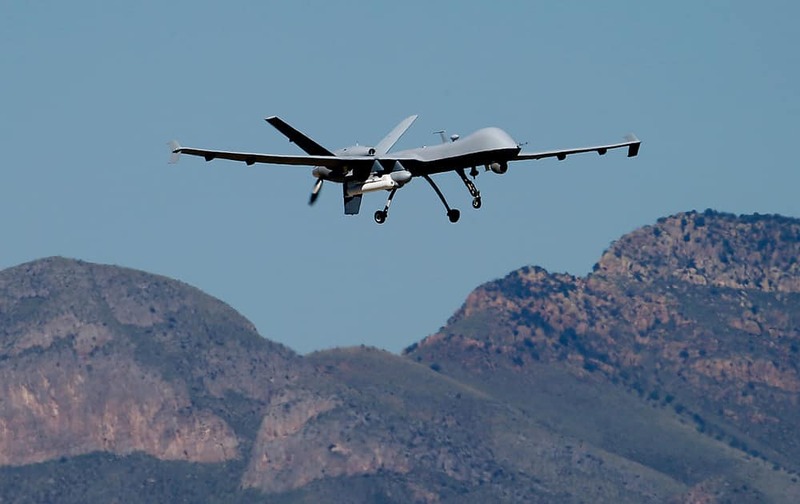 The US government now patrols nearly half the Mexican border by drones alone in a largely unheralded shift to control desolate stretches where there are no agents, camera towers, ground sensors or fences, and it plans to expand the strategy to the Canadian border. 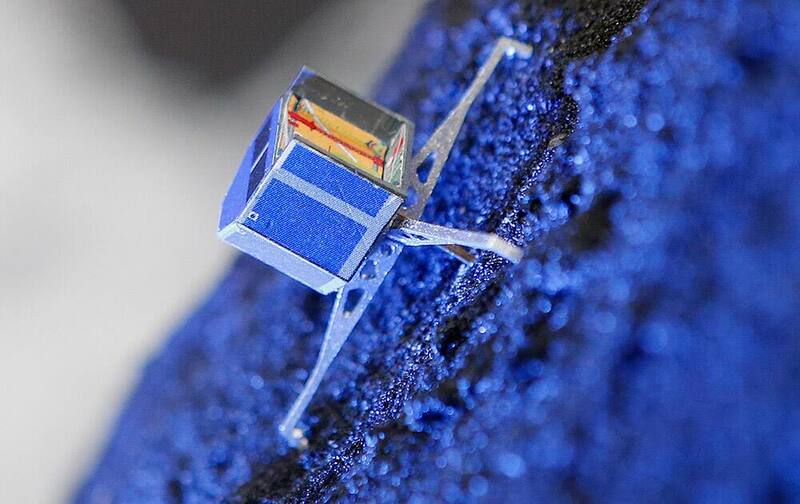 A model of Rosetta lander Philae stands on a model of comet 67P/Churyumov-Gerasimenko, at the European Space Agency ESA in Darmstadt, Germany. Anthony Taylor kisses his wife, Rebekah, during the homecoming for the U.S. Army Reserve 663rd Horizontal Engineering Company, based in Sheffield, at Signature Aviation in Huntsville, Ala. The unit had been deployed to Afghanistan. 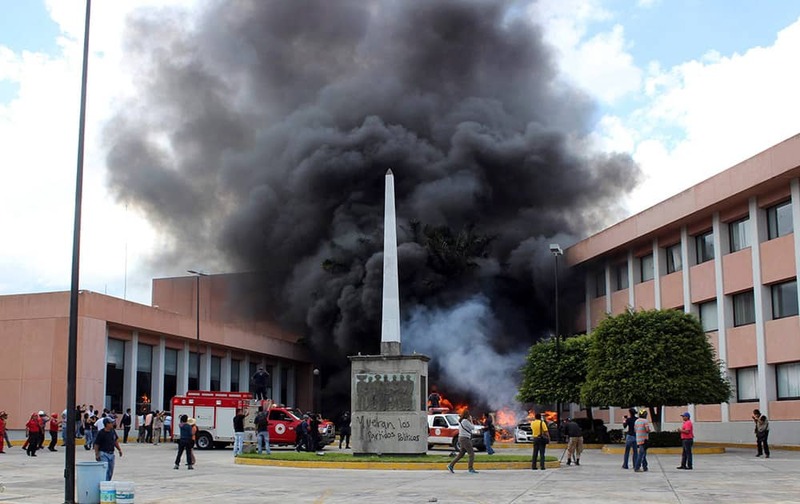 Firefighters arrive to try to extinguish several burning vehicles in front of the state congress building after protesting teachers torched them in the state capital city of Chilpancingo, Mexico. Serbia’s Novak Djokovic walks to the court prior to the start of the singles ATP World Tour tennis finals match against Switzerland’s Stanislas Wawrinka, at the O2 arena in London. 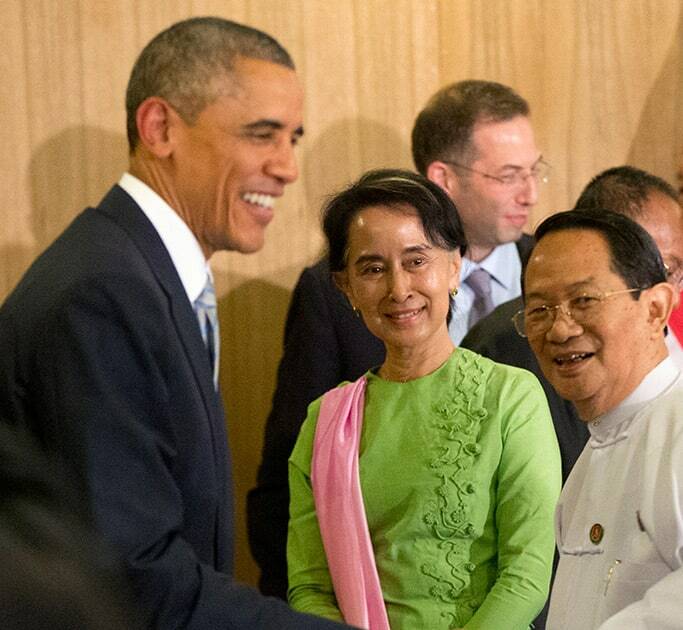 US President Barack Obama, center, holds hands with other leaders during a group photo before a gala dinner at the Myanmar International Convention Center in Naypyitaw, Myanmar. 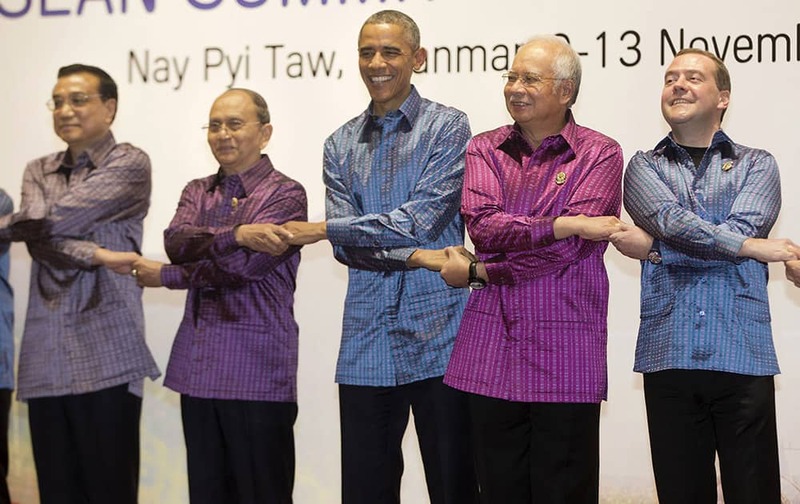 From left are Chinese Prime Minister Li Keqiang, Myanmar President Thein Sein, Obama, Malaysian Prime Minister Najib Razak and Russia Prime Minister Dmitry Medvedev. 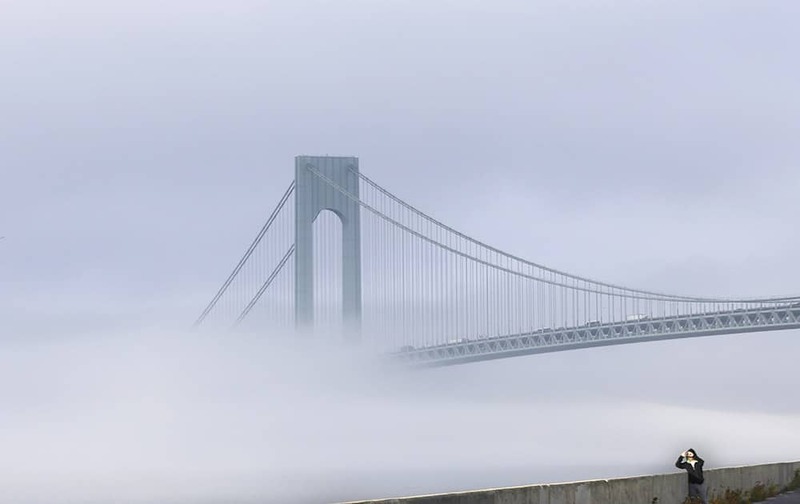 A man stops to take a picture of the foggy landscape in front of the Verrazano-Narrows Bridge in New York. The Orion Spacecraft moves by the Vehicle Assembly Building on its approximately 22 mile journey from the Launch Abort System Facility at the Kennedy Space Center to Space Launch Complex 37B at the Cape Canaveral Air Force Station, in Cape Canaveral, Fla. 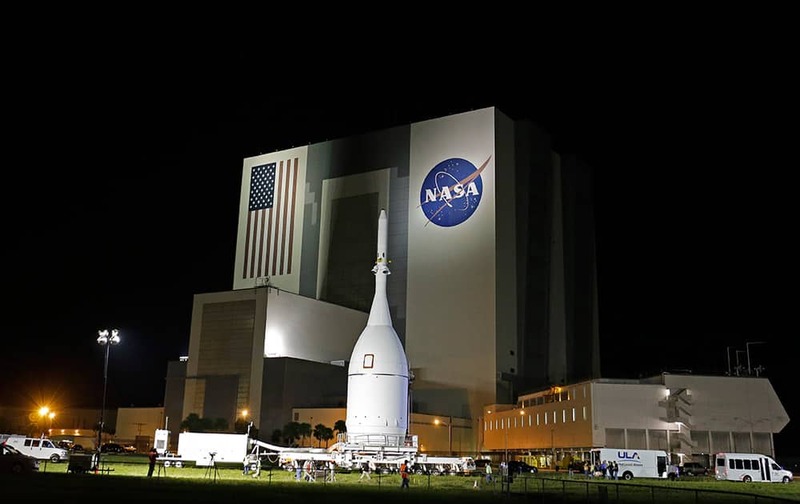 The test flight for Orion is scheduled to launch on Dec. 4. 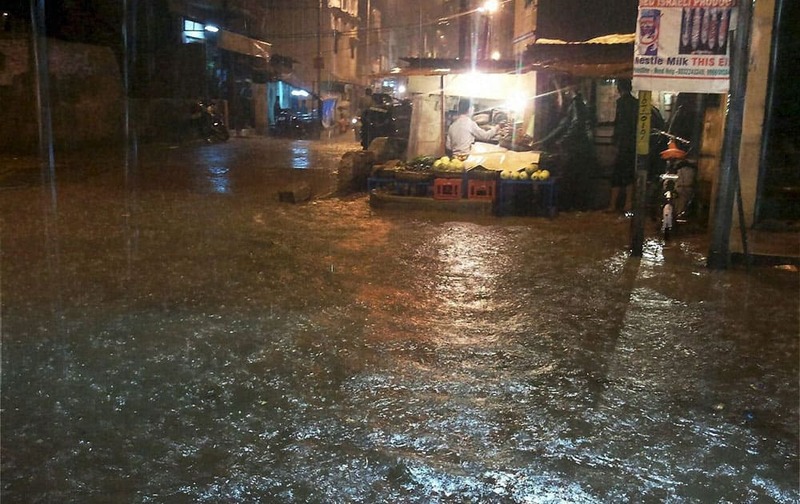 Flooded streets after heavy rains in Hyderabad. 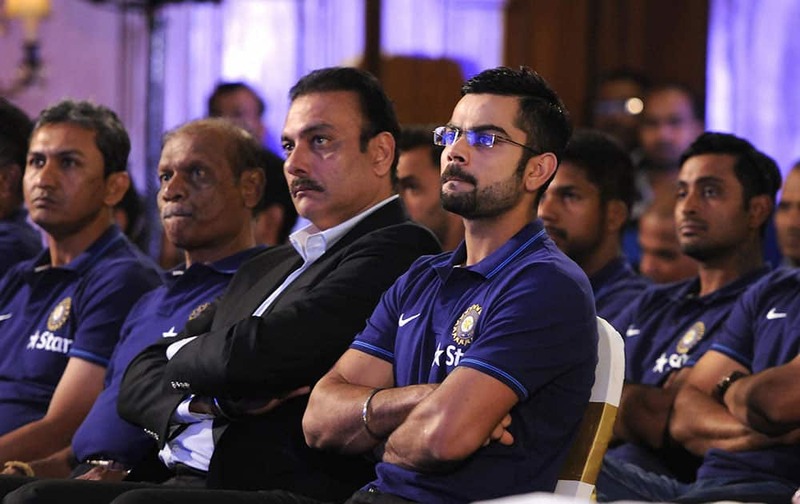 Indias captain Virat Kohli along with teammates and officials listen to VVS Laxman former Indian cricketer as the latter delievers a lecture during the 3rd annual Pataudi-Memorial-Lecture in Kolkata. 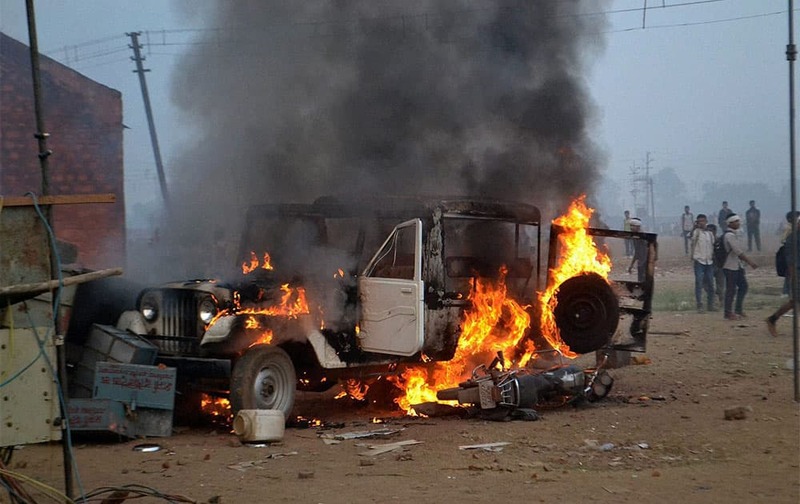 Candidates set ablaze a vehicle after cancellation of an Army recruitment rally in Gwalior. 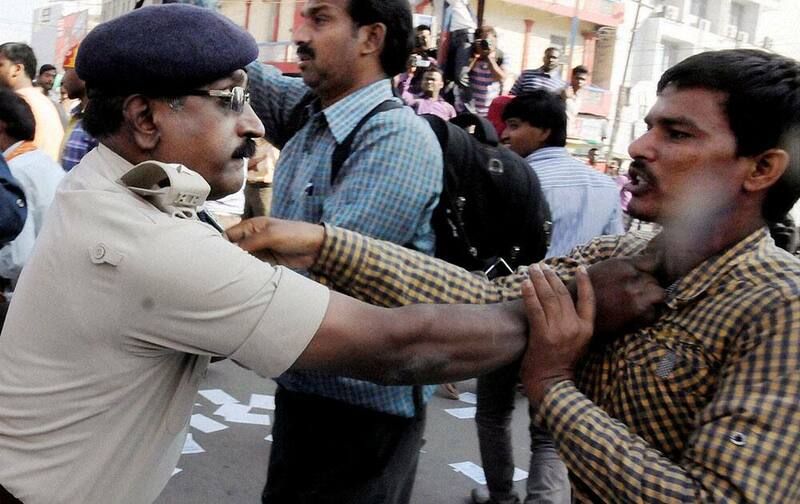 Police charge successful candidates of TET & STET during their demonstration for their permanent jobs in Patna. World Billiards champion Pankaj Advani launches PETAs V discount Card at an event in Bengaluru. 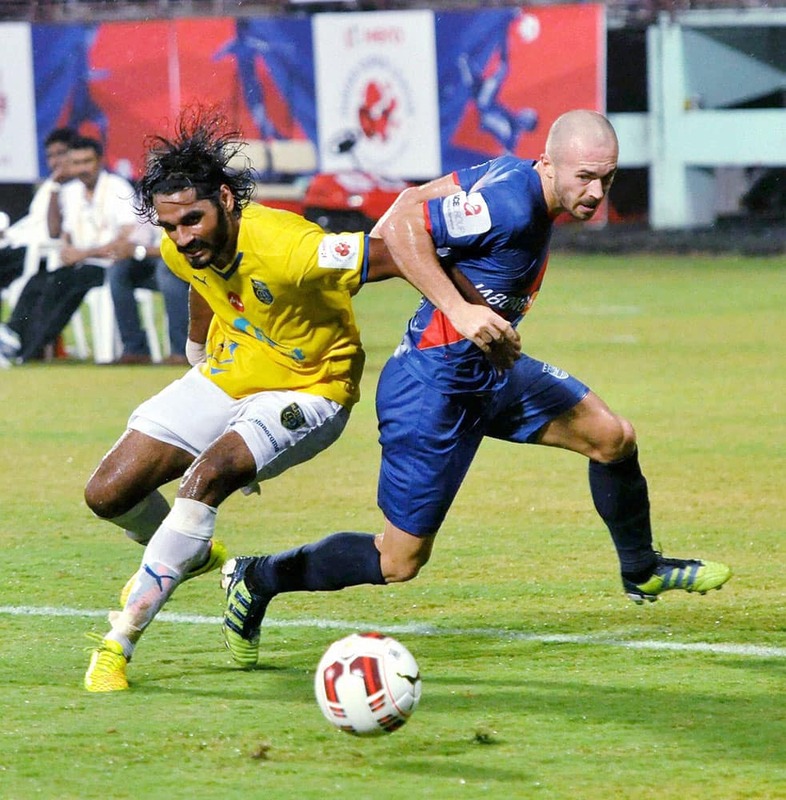 Kerala blasters FC (Yellow) and Mumbai City FC (Blue) players in action during the ISL match in Kochi. 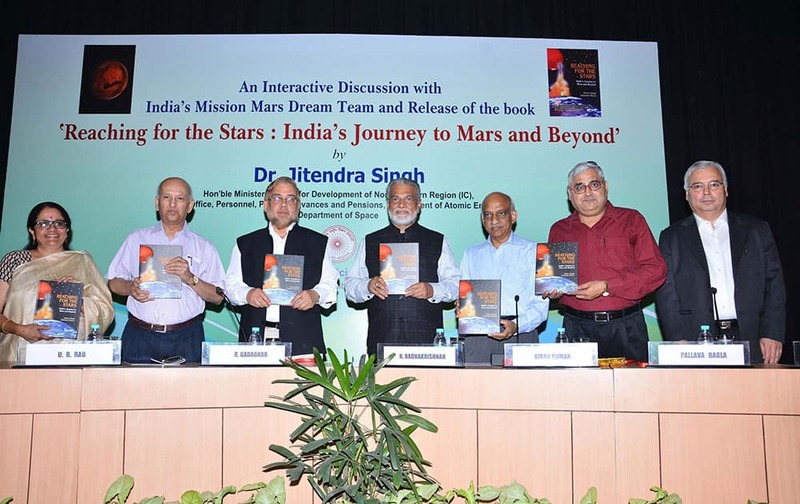 ISRO, Chairman, K Radhakrishnan, U R Rao, former chairman ISRO along with Mangalyaan team members releasing a book Reaching for the Stars: Indias Journey to Mars and Beyond written by Pallava Bagla (2nd R) at the Indian National Science Academy in New Delhi .